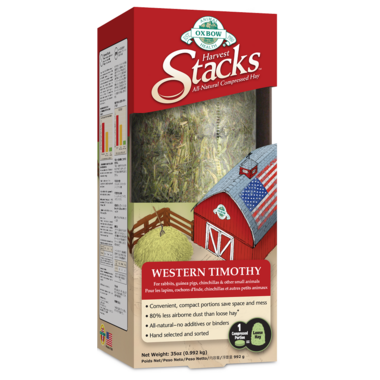 These hay stacks are great! They can be a tad messy but what hay isn't. I don't use this as my sole hay supply for the best but add it into their diet along with Oxbow loose hay. The guinea pigs really like the texture and taste. This also is great to give them something to have fun with!